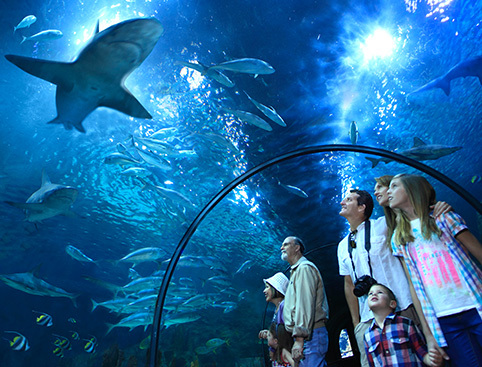 If you’re looking for theme park fun to keep the little (or big!) kids amused this summer, check out our roundup of our best sellers from the UK and around the world! Disneyland Paris – Fast pass to where fairytales really do come true! PortAventura – Enjoy five themed zones for award-winning rides and shows! 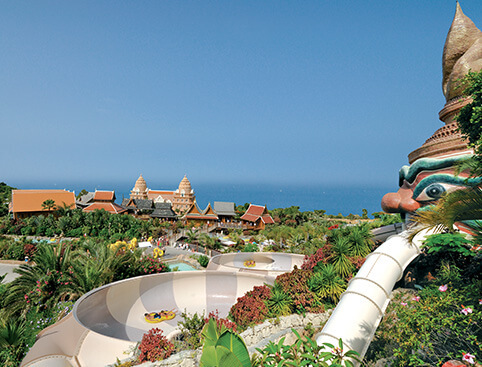 Siam Park – This ever-popular hotspot in Tenerife boasts exhilarating swimming through to relaxing restaurants and bars. Europa Park – Enjoy the largest theme park in Germany, with over 1,000 metres to explore! Futuroscope – This high-tech thme park in France offers something different, from dancing with robots to virual reality at a huge scale! Parc Asterix – Join Astérix and Obélix on some surprising adventures, song, dance and rides galore! Alton Towers – This UK best-seller needs no introduction! WaterWorld Water Park Aiya Napa – If you’re heading to Cyprus you may well want to visit the largest waterpark in Europe! Legoland Windsor – Ideal for children of all ages, with over 50 amazing rides to enjoy and 55 million lego bricks! So, what are you waiting for? If you’re heading to one of the destinations above, or just staying in the UK, there are no more excuses for boredom this summer holiday! PS. Tell us below or on Facebook which is your favourite theme park?